What's this? If you love watching Desi Perkins' makeup tutorials as much as I do, you'll know MAC 'Give Me Sun' is one of her most used products. I've been tempted to buy it for a while now, as I wanted a bronzer that was a bit more warm toned, as opposed to the cool toned contour products that I already have. It's a Mineralise Skin Finish (as opposed to a 'Bronzer'), so I would assume that means it adds a bit more coverage than a bronzer would - I'm not sure! On the site it is described as a 'light summer peach tan', which I completely agree with, and I feel like it will be absolutely perfect for summer. Where do I get it? This is £24, and obviously, MAC is pretty widely available, so the usual MAC website, and in the UK you can also get it from House of Fraser and Debenhams. The Pros... 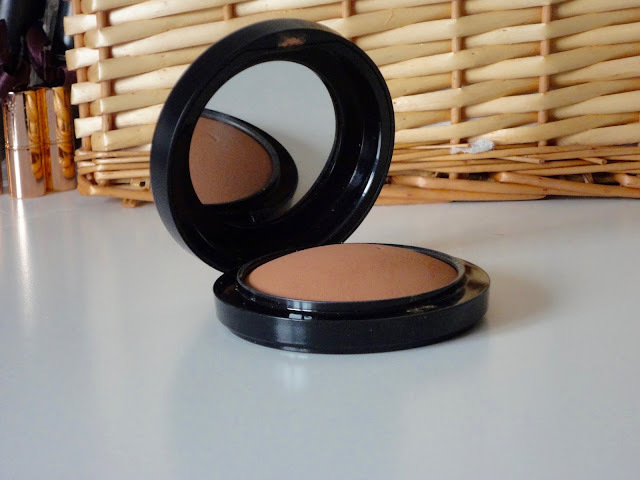 I really do love this bronzer - it's become part of my everyday routine! 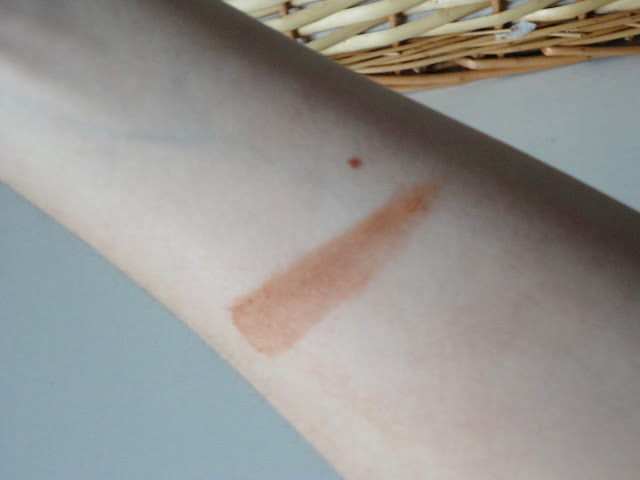 It is really pigmented and blends in nicely, and whilst it is definitely warm toned, it doesn't look too orange, even on my paler skin. If I'm honest, it does look better when I have a bit of fake tan on, but I can still make it work on my natural skin tone as long as I don't go overboard. As I would expect from a MAC powder, it has really great lasting power on the skin and just helps to warm up your skin a bit, and prevent it from looking too 2D after foundation and concealer. I also really love the packaging - sturdy enough that you know it won't break after being thrown around in your makeup bag, but still sleek without being too chunky. I also like the mirror inside - good for touch ups when you're out and about. You get a good amount of product in here too, so you definitely get your money's worth! The Cons... Obviously, I bought this mainly because of Desi, who has a much darker skin tone than me. If I go too heavy handed with this on my skin tone, it does look way too much. So, anyone who's on the paler side, definitely use a light hand with this. I actually use the Real Techniques Duo Fibre Face Brush with this, as the bristles aren't very dense so it just deposits a nice bit of colour, whilst the duo fibre bristles are great for blending out. Also, I'd recommend pairing this with a contour powder, as the contour powder helps to cool it down a bit and help to add a bit more shape to your face. I'd be happy to do a contour for pale skin post as I've found some great products that look good on paler skin! Let me know! What do you think? Let me know if you've tried this in the comments and what your thoughts are!